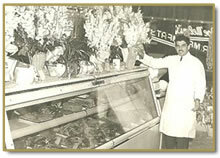 Since 1938, the Meloni Family has been serving high quality food to their nearby neighborhoods. The tradition began in the heart of South Philadelphia on the corner of Iseminger and Tasker Streets where Joseph Meloni Sr. opened his first butcher shop. From there, the family patriarch started his second store, located on 13th and Dickinson. This is where he taught his son, Umberto, the inter-workings of the business. One of the main lessons that Joseph Sr. taught his son was to "always let the customer know how much you appreciate them." This mindset continued with Umberto when he left his father to start his own business in Ventnor, NJ. While operating in Ventnor, Umberto was able to expand his family’s tradition of great food and valued service to new customers. With his eldest son Joseph by his side, Umberto passed on the same lessons he had learned from his father. By 1988, Joseph left his father and opened a new store in Mays Landing, NJ. After enjoying six years of success there with the help of his wife Dawn, Joe felt that it was time for yet another endeavor and decided to relocate. 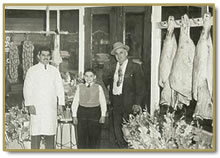 In the summer of 1994, the family opened the doors of Meloni's Butcher Block, located in Washington Twp, NJ. Being the perfect location for their Italian specialty shop, the Melonis began serving the people of South Jersey the finest in fresh meats and deli products. As the business grew, so did Meloni's products and services. In 1998, Joe’s younger brother Brian joined the business after graduating from St. Joseph’s University and introduced some new and innovative ideas. To satisfy the busy lifestyle of the "family on the go", Meloni's launched a full line of take home-oven ready and prepared meals. The business also expanded to provide off-site catering options for various events. Over the last decade, the business has continued to grow and be recognized as one of the best specialty food shops in all of South Jersey. 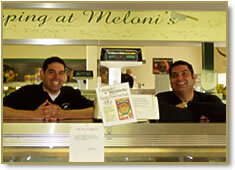 Meloni’s guarantees its customers quality food with exceptional service for many generations to come.